The Killarney Motor Race Track is easily the oldest motor sport complex in South Africa, having seen action as far back as 1946. The complex has its own stock car oval, drag strip, and kart circuit and motor cross track. 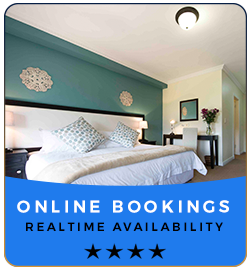 Cape splendour offers day tours and safaris to suit your holiday. There are full day tours, half-day tours and full day safaris. They also provide cost effective transfers to the airport and city centre. Please do not hesitate to ask reception for any further information.